A day after Sikkim Chief Minister Pawan Kumar Chamling expressed his support for a separate Gorkhaland, the West Bengal government wrote a letter to the Union Home Minister Rajnath Singh. The letter urged the Centre to take necessary steps to stop other states from interfering in the “internal matters of the state government”. On 23 June, senior leaders of the GJM, including party president Bimal Gurung and general secretary Roshan Giri, also resigned from the Gorkhaland Territorial Administration (GTA), a regional autonomous body. Their resignation letters were sent to the West Bengal Home Secretary. 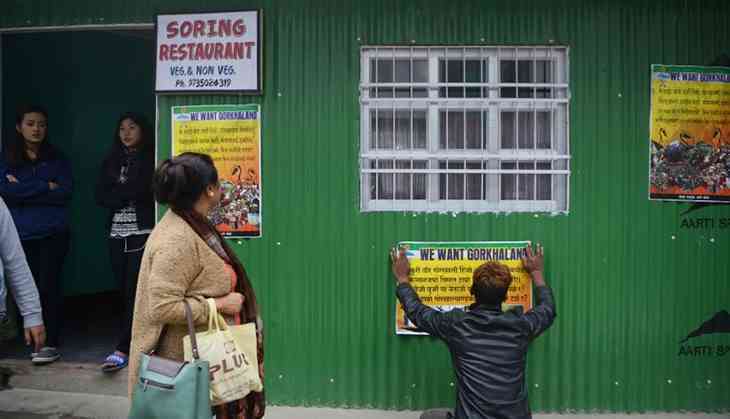 While a section of officials claim that Chamling’s letter has instigated other North Eastern groups to lend their support, GJM leaders have clarified yet again that their demand for Gorkhaland is a democratic movement. “On 23 June, many Gorkha people from other states including Sikkim came to Darjeeling to support our cause. We believe that if more people joined our movement, it would only be strengthened. Already, the Jan Andolon Party, the National Liberation Front have joined in,” said GJM leader Binoy Tamang. According to Gurung, the police has lodged false cases against him and his wife Asha Gurung for the death of the three GJM supporters. “I have received video footage where it can be clearly seen that the three GJM supporters were killed by police firing. We are not fools that we will kill our own soldiers. I will fight for them till my last breath,” Gurung added. According to Gurung, the state government is acting in a "dictatorial manner” as they think them to be their enemies. “I am not Kishenji or a Maosit. We are following a democratic path for our demand for Gorkhaland,” he says. GJM has called an all-party meeting on 29 June, where they will decide on how they can carry on their movement for Gorkahaland. On 27 June the GJM will hold a rally and will burn the GTA agreement that was signed at Pintel village in Kurseong the party believes that the Centre needs to constitute a fresh committee to look into the demands for Gorkhaland.